Jimmy Shan will take charge of West Brom's clash with Swansea on Wednesday night, and he can make an instant impact by bringing Wes Hoolahan in from the cold. BBC Local News: Birmingham and Black Country -- West Brom pair Wes Hoolahan and Tyrone Mears extend their contracts with the Baggies until the end of the season. Wes Hoolahan and Tyrone Mears have signed contract extensions at Albion until the end of the season. 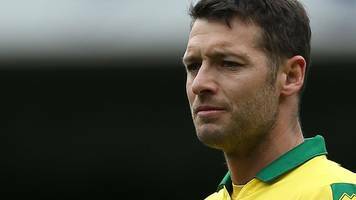 Out-of-contract Wes Hoolahan is planning to speak to Darren Moore this week about his plans for the rest of the season. 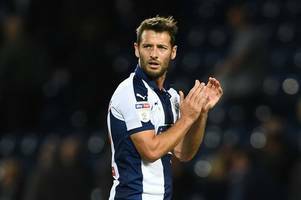 Darren Moore plans to speak to Wes Hoolahan this week about his Albion future ahead of a potential meeting with Norwich. Tyrone Mears and Wes Hoolahan have been doing extra work behind the scenes so they are ready to pounce on any chance to impress over Christmas. West Brom will discuss the futures of Tyrone Mears and Wes Hoolahan after the Sheffield United fixture. Albion midfielder Wes Hoolahan and Walsall player-coach Russell Martin are going head-to-head to raise money for charity. The short term deals offered to Bakary Sako, Wes Hoolahan and Tyrone Mears represent Albion’s astuteness in the transfer market, technical director Luke Dowling believes. Wes Hoolahan believes there is plenty of miles left in the tank after joining the Baggies on a short-term contract. Bristol City clash is the perfect time for Moore to rest this Baggies youngster - agree? Albion have completed the signing of midfielder Wes Hoolahan on a short-term deal. BBC Local News: Norfolk -- West Brom sign free agent Wes Hoolahan, who left fellow Championship side Norwich City in the summer. 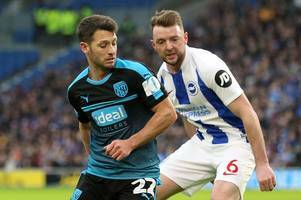 Free agent Wes Hoolahan is set to join Albion on a short-term contract after impressing on trial over the international break. 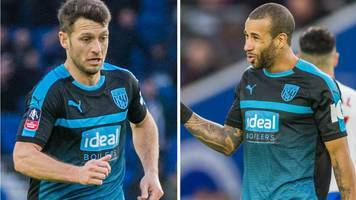 Darren Moore says Albion will decide whether to sign free agents Wes Hoolahan and Russell Martin within 'the next seven days'. West Bromwich Albion are weighing up the option of signing forward Wes Hoolahan and centre-back Russell Martin, both formerly of Norwich City, according to Sky Sports. 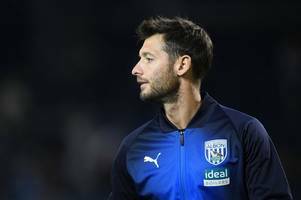 The Baggies have been relegated..
West Bromwich Albion are reportedly considering signing free agent Wes Hoolahan following his release by Norwich City this summer, and Sunderland must hijack any deal. 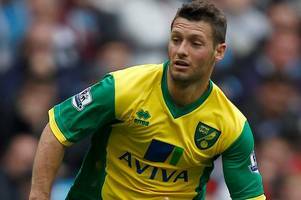 Albion have handed trials to free agents Wes Hoolahan and Russell Martin this week.